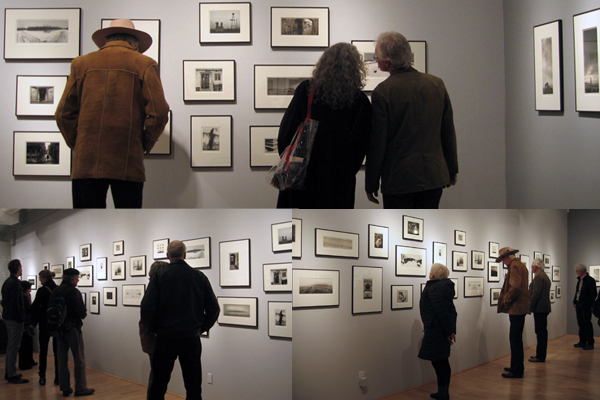 A sincere thank you to all who attended the gallery opening for the new exhibition, Pentti Sammallahti -- Here Far Away. The exhibition is open through February 9, 2013. The Here Far Away exhibition celebrates a forty-year retrospective monograph of Sammallahti's extensive body of work, published by Dewi Lewis. Pentti Sammallahti, born in 1950 in Helsinki, is a benchmark figure in contemporary Finnish photography. His unique observations capture authentic moments as he travels and photographs all over the world, finding beauty in the ordinary. Each of his exquisite compositions illustrate a sublime moment in time, allowing the viewer to pause and reflect on man's relationship with nature and his surroundings. The exhibition includes sixty toned silver-gelatin photographs by Sammallahti, displayed salon-style throughout the gallery. 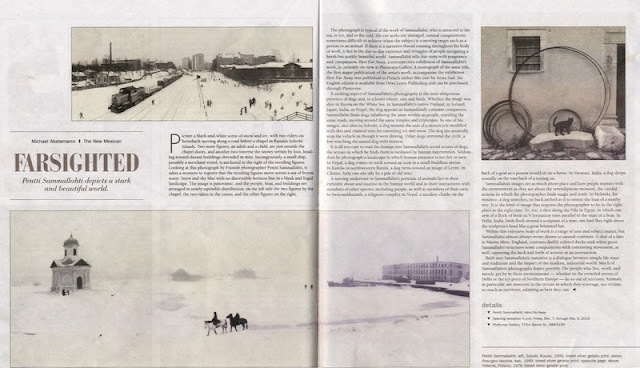 We were thrilled to see two reviews of the show in local Santa Fe press. Michael Abatemarco from The New Mexican writes, "If there is a narrative thread running throughout his body of work, it lies in the day-to-day existence and struggles of people navigating a harsh but starkly beautiful world." There was also a review in THE magazine: "Each painstakingly printed photograph is like a little Finnish folk tale, told in a myriad of rich, grey tones." View work by Pentti Sammallahti here. For more information or to acquire a print, please contact the gallery at gallery@photoeye.com or call 505-988-5152 ext. 202.